These are my people!! Reading this book made me so thankful of my story and journey. I swear I couldn't go more than a couple pages without saying, "She did what?" Or "They transferred how many?" Granted, the author wants to sell as many books as she can so maybe that's why all these stories seem like extreme cases to me. Or maybe we're just boring (which I will take in a heartbeat.) I'm so thankful for my GC, so thankful for my clinic, so thankful for a boring, easy surrogacy experience. I'm also thankful that technology can do almost anything when it comes to helping people build families. 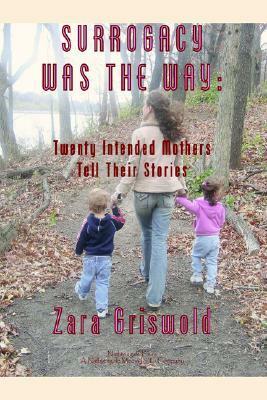 20 women in this book worked their asses off to become mothers and that is something worth celebrating. Absolutely essential reading for anyone embarking on the journey of surrogacy!As a potential Gestional Surrogate (GS) I found each story (from the Intended Mother's point of view) to be informational and educational. This journey is emotional beyond imagining, and the best we can each do is try to understand where we are both coming from.I think this book also highlights one major aspect of surrogacy--matching. The right match, much like a marriage, must not be entered into hastily or lightly. Just because logistics work out, doesn't mean the match is right. There must be a "good vibe" between the surrogate and the intended parents, before making the match official. The story of my life right now... finding it interesting to see how this whole journey has gone for others! Ok story to understand how surrogacy works, not enough like my situation so a little disappointing.